The launching of a new label devoted to contemporary music is something to celebrate, and the newest kid on the block is all that dust, the brainchild of composer Newton Armstrong, soprano Juliet Fraser and pianist Mark Knoop. The label’s first five releases have recently appeared, and there are a couple of things to say more generally before getting stuck into them individually. First, all that dust is a label not only concerned with the newest of the new; two of these releases are works composed in 1964, and another dates from the early ’80s. Second, all that dust is interested in digital as a valuable medium in its own right: two of the releases are only available digitally, and have been specifically engineered for binaural listening. Third, the label’s approach to presentation is slick but nicely generic, opting for abstract artwork rather than tailoring each one with something personalised. This somewhat extends to the liner notes, which while they do at least provide some context for the music are generally rather meagre and perfunctory. Overall, though, in terms of presentation what all that dust are clearly seeking to emphasise above all else is the music, indicating that we shouldn’t fuss about admiring fancy covers or reading lengthy tracts but just launch as quickly as possible into these five very different soundworlds. Hard to argue with that. 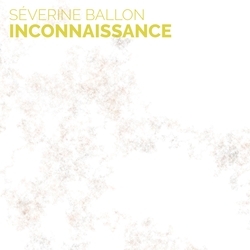 Argue i most certainly did, though, during inconnaissance, an hour-long cycle of music by French cellist Séverine Ballon. i’ll readily admit to having expected to enjoy this album enormously, as Ballon’s performances – both in the concert hall and on disc – are always powerful and highly memorable. However, inconnaissance proved to be a very, very different sort of experience. In hindsight, i can’t help feeling that the title of the disc is utmost instructive: “unknowing”. Bluntly put, there’s no real sense that Ballon knows what she’s intending to project across the work’s long-term, eight-movement structure. It’s not even apparent that there’s much sense of direction in many of the individual sections. What there is – and it’s present in abundance – are prolonged episodes of faint, wispy, vagueness, Ballon bowing such that any perceptible pitch content is essentially too vaporous to be recognisable. In many ways this heavily receded form of utterance comes across as the default position here, a place semi-hidden from which ideas can emerge and to which they can escape. But these ideas, such as they are, do little more than provide the most elementary contrast: soft pizzicati; frantic bursts of intense, almost squeaky bowing; low, pitchless growling; trilly twiddles (or twiddly trills); gentle overtones. This perhaps suggests profound delicacy, or the kind of numinous lowercase soundscapes of Jakob Ullmann or the better practitioners in the Wandelweiser gang, but the work’s title proves insurmountable. It’s music that projects an inverted scream testifying to its very genuine unknowing: of its character, of its direction, of its purpose, and above all of the way it’s being received. For me, that reception began with interest – the way Ballon makes her instrument sound like breathing at the start of the opening section, cloches fendues 1, is striking – but quickly passed to apathy and finally, having been forced to deal at length with the incessant, portentous weight of Ballon’s delivery, exasperation. It’s rare to encounter music so desperately in want of ideas. 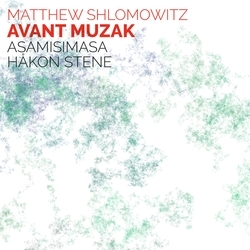 Much more engaging is Avant Muzak, a disc devoted to the music of Australian composer Matthew Shlomowitz, performed by members of asamisimasa. All three works involve the bringing together of found sonic elements – both field recordings and discrete musical entities – with electronics and a live ensemble. Due to both the nature of these elements and the way Shlomowitz works with them, there’s scope here for things to become disorienting and/or just plain silly. For the most part, though, that doesn’t happen and while a great deal of the music here has ‘entertainment value’, it’s very much more than mere mashup or being played for laughs. That being said, the title piece, which dates from 2010, makes for a pretty joyless and irritating listen. Avant Muzak isn’t helped by the fact that its fundamental conceit – of doggedly exploring a short morsel of material supposedly “suggestive of the world of muzak” – doesn’t in any way bring that world to mind at all (and it’s not remotely saccharine). As it is, the five movements of the work just sound twee and stupidly inconsequential. Popular Contexts 7 and 8 have a lot more going for them. The former, subtitled ‘Public Domain Music’ (2014) harnesses field recordings to create stylistically indefinable compositions that bring to mind the gleefully haphazard genre-mingling of Frank Zappa. In this regard, it’s this piece in particular that demonstrates how much more Shlomowitz is doing than a mere mashing-up of disparate ideas. He makes the disjunct material collisions, and their outworking, the very vocabulary of the music (a definite parallel with Zappa). So we experience, among other things, strange formations of dainty tune fragments circling round a transport announcer with a halting underscore of bursts of faux-reggae, and a seemingly continually restarting back-and-forth between light jazz (in which an enthusiastic clarinet keeps getting left hanging, jutting out at a ridiculous angle) and the ambiance of a park. The highlight for me, though, was the fourth section (‘Muzak in the Shopping Mall’), which flings at the ensemble a jumble of MIDI synths, field recordings and even a crying baby to exhilarating effect. 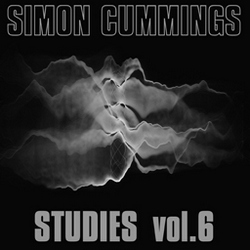 Popular Contexts 8: Five soundscapes for a contemporary percussionist (2015) brings a similarly diverse assortment of found sounds into the mix with the performer. It’s more superficial than its predecessor, though ‘Session Drummer’ is unforgettable, an enthralling smashing together of incompatible elements – the titular drummer and Debussy’s Prélude à l’après-midi d’un faune – that forces them to cooperate without either side making any compromises, and somehow, it succeeds. i’ve kept pondering whether this is music that it’s possible to love, or whether it’s always going to be limited by the curiosity value of its particular modus operandi. It certainly seems more likely than most music to instantly polarise listeners one way or the other, yet while it’s not particularly deep or thought-provoking, at its best i found myself to be completely won over. 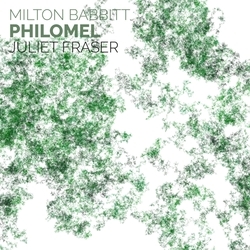 Arguably the most sonically radical of these five releases is Milton Babbitt‘s 1964 work for soprano and tape Philomel, performed here by Juliet Fraser. Composed in 1964, the piece is concerned with the eponymous Greek mythical figure, who – as recounted by Ovid in his Metamorphoses – is raped by Tereus, the king of Thrace, who then cuts out her tongue to enforce her silence. Ultimately (following a remarkably gory act of revenge by Procne, Tereus’ wife and Philomel’s sister), Philomel is transformed by the gods into a nightingale, thereby regaining her voice. To create his piece, Babbitt collaborated with poet John Hollander to create a situation where the solo soprano in the foreground was “augmented, and perhaps echoed” (Hollander’s words) by additional material emerging from the four loudspeakers positioned around her. Hollander’s text is thus all from Philomel’s perspective, focusing on her transformation, but while it therefore sidesteps narrative Hollander makes it very clear that this is no simple act of transcendence that automatically just puts everything right. There’s plenty of magic on display, but it can’t wipe slates clean, and it’s ability to reduce pain seems to be precisely nil. It’s a stunning composition, heartbreaking and tragic yet peppered with pinpricks of hope that intimate at the hard-won possibility of triumph (not now, but maybe one day). The way Babbitt makes the opening so broken up and confused, as Philomel begins to rediscover her voice – gradually progressing from mere noise (“Eeeeee!”) to sensory information to the processing of past, present and future – is vividly immediate. There’s a pivotal moment (at the end of Part 1, a little under five minutes in) when an additional burst of magic seems to be taking place, the culmination of the transformation perhaps, where the soprano exclaims “What is this humming? I am becoming my own song…”, which Babbitt elaborates with a beautiful extended electronic vocalise. In contrast to the burbling of earlier, Philomel’s subsequent engagement with the other birds in the forest – essentially re-learning to speak and sing – is nicely measured. It’s passages like this, and a later one where the line “The world’s despair should not be heard!” is met with both soprano and tape walking on eggshells, that clarify just how careful and sensitive is Babbitt’s use of electronics. There are times when it can become a little wearying, particularly in the final section, but for the most part its relationship with the voice is intimate and often surprisingly moving. The tape part, it has to be said, has never sounded more pristine and brilliant than it does in this recording. (By way of comparison, Innova’s disc of music by Milton Babbitt and Michael Hersch a breath upwards, released earlier this year, also includes Philomel and there the tape part sounds very much older and less well-defined.) Juliet Fraser’s performance is typically nuanced and emotionally-charged, and blends astonishingly well with the voices on the tape – recorded by Bethany Beardslee, for whom the piece was written – making it hard to discern where Fraser ends and Beardslee begins. Engineering the recording binaurally has made it into a deeply immersive experience through headphones (though it also sounds extremely good through speakers), one that throws us into the heart of what Philomel is going through, and which demonstrates how radical, accessible and affecting Babbitt’s often-overlooked music really is. It’s frustrating that the liner notes don’t include the sung text; i recommend reading John Hollander’s 1967 article ‘Notes on the Text of Philomel‘, which includes the full text (not all of which Babbitt uses verbatim) as well as a fascinating introduction to the way the piece was conceived. 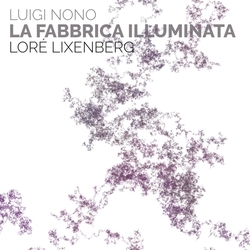 The binaural treatment has also been brought to bear on another work for soprano and tape, Luigi Nono‘s La fabbrica illuminata, performed by soprano Loré Lixenberg. Composed in 1964, the piece is concerned with denouncing harsh working conditions experienced by workers in Italian steel mills. To this end, Nono went to a factory in Cornigliano to record industrial sounds, which are used, together with a large choir, as the basis for the tape part. The emotive power of the work to a large extent derives from its use of extremes. The impression of an incensed mass is established early on, Nono creating a surging turbulence by both layering and rapidly juxtaposing the factory and vocal sounds (which involve as much if not more shouting than singing). 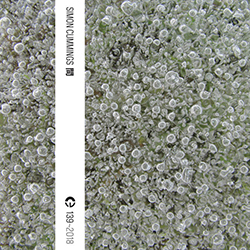 At these extremes, Nono establishes a soundworld of violence and oppression (reinforced considerably in this binaural version) in which one feels trapped on all sides. The soprano sounds very small indeed beside such enormity, yet her role comes to the fore in the work’s central episode, positioned at the opposite extreme, a place of meditation and reflection. It would be simplistic to read this section as being beautiful, as its undercurrent is anguish, and despite how admittedly gorgeous the sequence becomes later on – the voices ghost-like apparitions floating in space – subsequent bursts of metallic aggression prevent one from losing sight of the point being made. Lixenberg comes across strongly despite playing second or even third fiddle to the intensity exhibited by the twin elements on the tape. Yet though her role is in part deliberately designed to be overwhelmed in this way, her presence brings both a more tangible humanity to the piece as well as, at the conclusion, its one ray of hope. As i indicated already, this binaural mix is stunningly involving, placing one deep at the core of the work’s drama, heightening all the crushing weight and diaphanous drift that it contains. Again, the tape sounds incredibly pristine (and, while it sounds reasonable through speakers, should really only be listened to through headphones), and again it’s a shame that the text wasn’t included in the liner notes – though it can be found on the Nono website. It’s an enormously powerful piece that deserves to be much better known; its inspiration may have been localised, but what La fabbrica illuminata has to say about the abuse of anonymised individuals by the enormous weight of industry – no less an issue today than it was in 1964 – is universal. 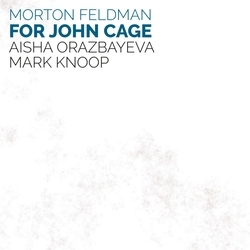 The last of all that dust’s first batch of releases is a new recording of Morton Feldman‘s 1982 work for violin and piano For John Cage, by Aisha Orazbayeva and Mark Knoop. i’ll jump to the chase: it’s a mesmerising, almost hypnotic performance that seemingly brings the world to a stop for 74 minutes. For me this piece has always been ‘about’ (if that’s the right word) semitones and tones, and that’s never felt more fundamental than in this recording. Whether adjacent or separated by one or more octaves, these intervals are the linchpin of pretty much everything that happens throughout For John Cage. This enables one to listen to the continually changing and evolving rhythmic shapes, gestures and motifs that pass by, seemingly conveyor belt-like, and to enjoy their spontaneity and playfulness in the knowledge that they’re united by something very simple underneath, something completely stable that allows everything on the surface to tilt and pivot with complete freedom. ‘Playfulness’ is an important word in Knoop and Orazbayeva’s performance – the interplay between them throughout always feels light and unplanned, as if the whole thing was a game where they were taking it in turns to come up with a new way of articulating those intervals. Sometimes they oscillate, or imitate, other times they argue, or ignore each other; and then there are the moments of transparency where it’s as if an uncanny external agency had made its presence felt, briefly transporting both players into another realm (weirdly giving the false impression of ‘diatonic’ harmonies). There’s also something of the same kind of play as in Ligeti’s piano études on display here, though it’s matched by a rigour in the performance that keeps the music and the listener ultra-focused from start to finish. i genuinely never wanted this recording to end – and not just because Feldman’s material seemingly wants to do just that, and carry on forever: it’s an amazing performance, beautiful and alien, distant yet comforting, that even when it ends (as all things must), leaves one feeling suspended, transfixed. For a new label, these five releases are an extremely ambitious and auspicious opening gambit; i really can’t wait to hear what comes next. For John Cage, Avant Muzak and inconnaissance are all available on both CD and high-resolution digital formats, while La fabbrica illuminata and Philomel are digital only releases. To hear excerpts and to order visit the all that dust website. Great concept. I’m looking forward to my download of the Feldman piece. One minor annoyance: Download isn’t automatic after payment. Approval is manual, which means I have to wait for someone to get around to clicking okay on my Paypal account. Thanks for this. i’m surprised that they’ve setup the website in that way – i would find it very annoying too. Might be worth you dropping the label an email about this, so they know how their customers are responding to the site. Thanks for this feedback. We’re aware of this annoyance and are working to make the purchase process fully automatic in the near future. Hopefully you found it worth the wait!